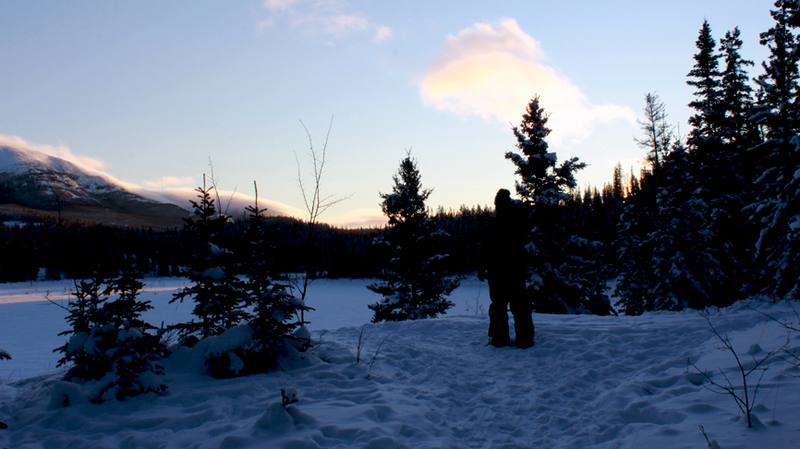 Daisuke and I arriving at an Ice Lake outside Whitehorse. Sorry I couldn’t update for a while. I couldn’t connect to the internet in the last hotel I stayed at. According to the Guide, the city of Whitehorse didn’t even have full cell-phone service until recently. They only started being able to use cell phones outside the city about 2 years ago. For a young person like me, it’s hard to imagine their lifestyle. 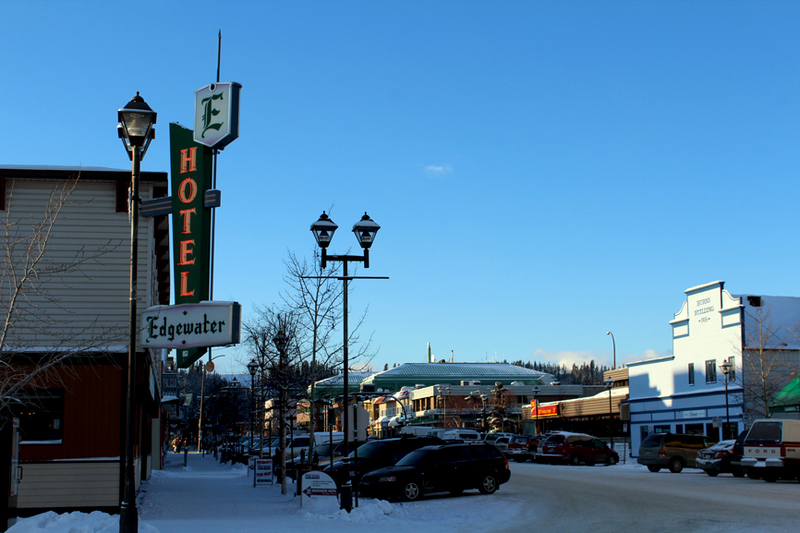 The quiet little city of Whitehorse. But the truth is, in the 4 days here, I really started to love Whitehorse. The people are very relaxed, and follow their own pace. I never saw a single person stressed out, or in a rush. And the interesting thing was that–our guide was German. The hotel front desk lady was from England. There were many Japanese visitors, and the lodge that we stayed at was run by a French woman. It seems that people from all over the world have come to Whitehorse for this lifestyle. Even though it’s the same Canada, it feels like a completely different world. There is so much nature, it’s beautiful. Frozen lake with mountains in the background. I definitely think I’d come back here again. Especially when I think of all the SUMMER activities they must have..
Posted in Canada, Events, Tourism, TravelTagged #RealCanada, カナダ, ホワイトホース, ユーコン, Canada, Canadian Tourism Commission, ciaela, CTC, 観光, 観光局, JetDaisuke, Micaela, Tourism, travel, Whitehorse, Winter, Yukon, 冬, 体験Bookmark the permalink. Thank you very much, Hiroshi-san. I hope that you can visit my country someday! 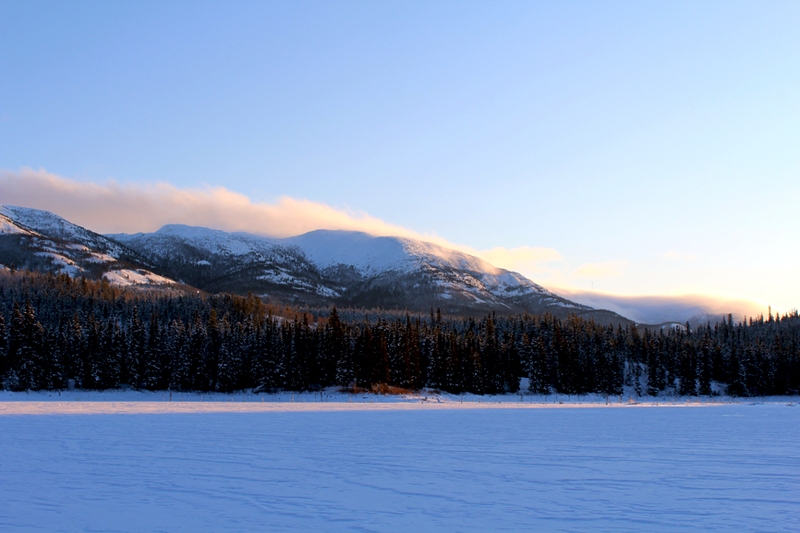 Great to see Whitehorse is beautiful in winter… I can only imagine… We were there in summer, which was also very special. These pictures are beautiful, definitely looks peaceful. I have never had the desire before, but now it is definitely going to be a place I want to visit. P.S. Welcome your new reader? :D? /where has your blog been my whole life? This is such a great way of learning Japanese! M – Do you have a link for Daisuke’s blog? I know it will be in Japanese, but I’m assuming he has some different photos than yours. Great trip! Enjoying the posts! Have you ever been to Osaka? I am learning naive English from you. Thank you. And, I think you are cute! Have you been stopped and recruited as an actress?? ホワイトホースで犬ぞりをやりました！ Dog Sledding in Whitehorse!